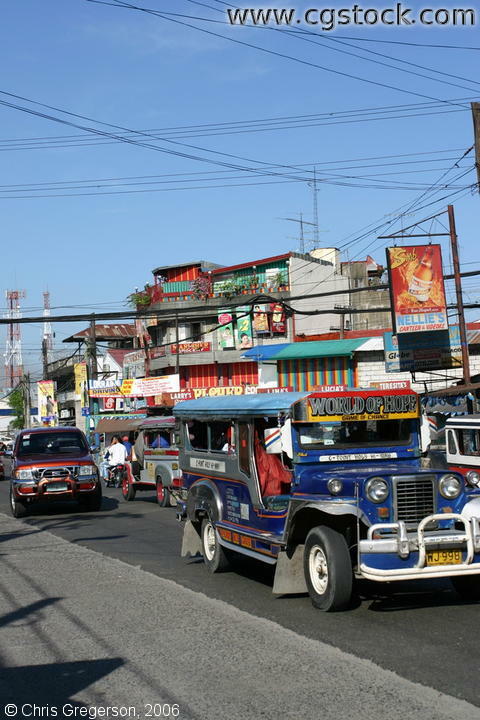 Shown here are jeepneys, a private car, business establishments on a typical street in Balibago, Angeles City, Pampanga, Philippines. This picture is taken during noontime. The jeepney, shown here with color blue, is the common means of mass transportation in the Philippines (2 km ride will cost $ 0.2).